Phuket hotels: Are you doing enough? 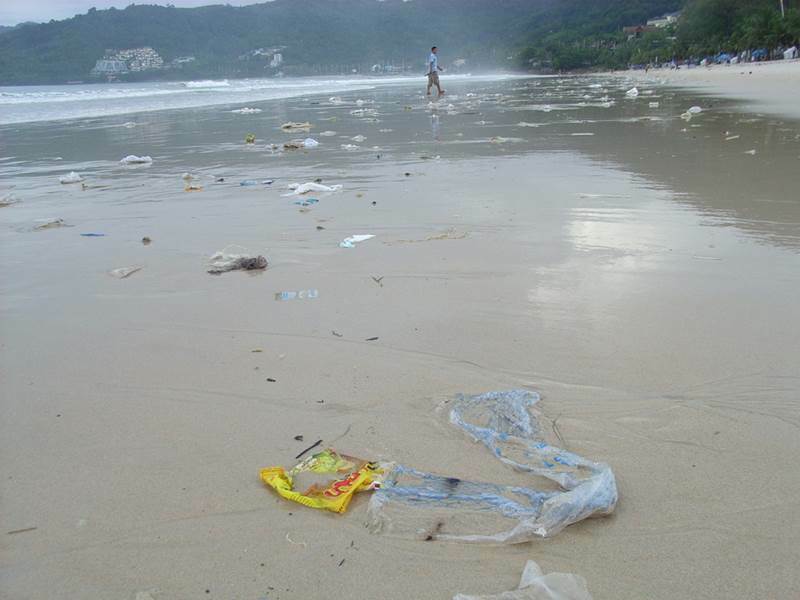 PHUKET: Recently I had an email dialogue with a west coast GM who was asked by a student to support her beach clean campaign with data collection and community awareness. A few things transpired that are lessons to all of us. Firstly the GM had no time for this. He had a ‘resort to run’ and had staff on ‘the payroll’ to handle it, anyway his hotel did ‘more than enough’ and it took a ‘month to organise’. His comments were a window into his thinking. While a nice photo and getting it in the paper lends positive support, Corporate Social Responsibility (CSR) is not done to further ones publicity alone. On a recent Saturday Going Green radio show (2pm, 89.5) I talked with Peter Harris about the changing nature of CSR and how it has become much more community focused and more about walking the walk, not just talking the talk. I was not pointing a finger at this particular hotel for not doing enough, but simply that in light of the current litter and beach waste crisis we are in, that well co-ordinated daily clean-ups are required. I have been personally helping to clean this GM’s beach for four years and have tried hard also to introduce this clean up programme with NGOs and other hotel support to bring the campaign back into the village. This is because stinking ponds, polluted klongs, dumped garbage, local picnic littering and lack of consistent co-ordination has in the past been a major problem and a health risk for the whole community, not just the Andaman Sea marine life who eat plastic in the oceans thinking it is food. A few days after the conversation, two dead turtles washed up on this GM’s beach, strangled and co-joined by fishing net ropes, another sad day for our marine life. Really, “Doing more than enough?”. They say if you want to travel fast, go it solo, but if you want to travel far, work as a group. In this case getting daily cleaned beaches is taking a well co-ordinated community effort including hotels, businesses, NGOs, local community and local government – a real partnership. The Green Club programme is now being taken up by Mai Khao, Nai Yang, Naiton, Bangtao, Surin, Patong, Karon, Kata and South Phuket (Chalong, Rawai, Nai Harn). With up to 2,000 boats some nights off Phuket’s west coast, and perhaps a full garbage bag of bottles/bags/caps and ropes being dumped per boat it is possibly the source of 50-plus per cent of Phuket’s beach debris. The Department of Marine Conservation Resources (DMCR) are working with Phuket-based environmental group SEEK to design and implement a fishing fleet waste management campaign that will include recycling stations at ports and a boat education programme available in Thai, Burmese and Cambodian. Follow Nick Anthony on twitter at indigonick and listen to his Saturday’s Going Green Show on Live 89.5FM from 3 to 5pm for beach cleaning updates and schedules, local and international green news and interviews with people who are part of the change.